Serving the greater Santa Fe, New Mexico region including Analco, La Loma, Tesuque, Agua Fria, Seton Village, Las Dos, Tesuque Pueblo, Chupadero, Rio En Medio, El Dorado, Glorieta, Cuyamunque, and the entire surrounding area. Free Consultation & Design Estimates. Call Toll Free (505) 600-1737. 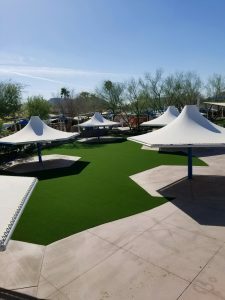 Celebrity Greens Santa Fe is the Artificial Lawn, Sports Fields and Synthetic Putting Greens Authorized Dealer, Designer and Installer of Celebrity Greens for Santa Fe, New Mexico and the entire area. As the proven leaders in synthetic grass, Celebrity Greens has been nationally recognized for installing artificial grass that is of superior quality, long lasting and environmental-friendly. We’ve proven ourselves by designing thousands of acres of artificial grass and synthetic golf greens and we have the proven quality workmanship, experience and artificial grass products that you are looking for. We’ve selectively partnered with the best U.S.-based manufacturers and international leaders in the artificial grass lawn industry. 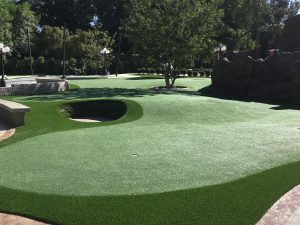 Our exclusive relationship allows us to offer you the varieties of synthetic grass products that meet the highest standard in artificial turf manufacture, longevity and durability – Our customers have peace of mind, a beautiful yard or putting green and we provide them with a manufacturer 8-year synthetic turf warranty. Celebrity Greens Santa Fe offers complete landscaping services, and we’re proud to offer products that require very low-maintenance while remaining lush and green through every season and all weather conditions. Contact us today at (505) 600-1737 for a free consultation!